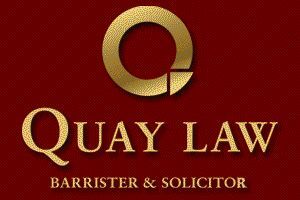 Contact a lawyer at Auckland law firm | Quay Law Barrister and Solicitor. Find a lawyer for legal assistance and advice today. Your choice of lawyer or solicitors to attend to your needs is an important decision. At New Zealand law firm, Quay Law (situated in Remuera | Auckland). we are committed to finding a legal solution that tailors the legal process to your personal and/or commercial needs. Our approachable Auckland lawyers deliver prompt & practical advice, at competitive rates & in plain language. Contact us using the find a lawyer form below or call us today to discuss your particular legal question or legal requirements. Physical Address: 165 Orakei Road, Remuera, Auckland, New Zealand. Easy access from the southern motorway using either Greenlane or Market Road off ramp. We are a centrally based law firm offering our commercial and private clients with a comprehensive range of legal services. Situated in the leafy suburb of Remuera, our Auckland lawyers are easy to find with great off street parking and easy access to the Southern Motor Way, Auckland City, Orakei, Meadowbank, Greenlane, Newmarket, Epsom, Glen Innes, Stonefields and Tamaki Drive. Contact an Auckland Lawyer FORM. Please visit www.lawyerinauckland.co.nz or www.quaylaw.co.nz for further information regarding our legal services. Our Auckland lawyers look forward to speaking with you.